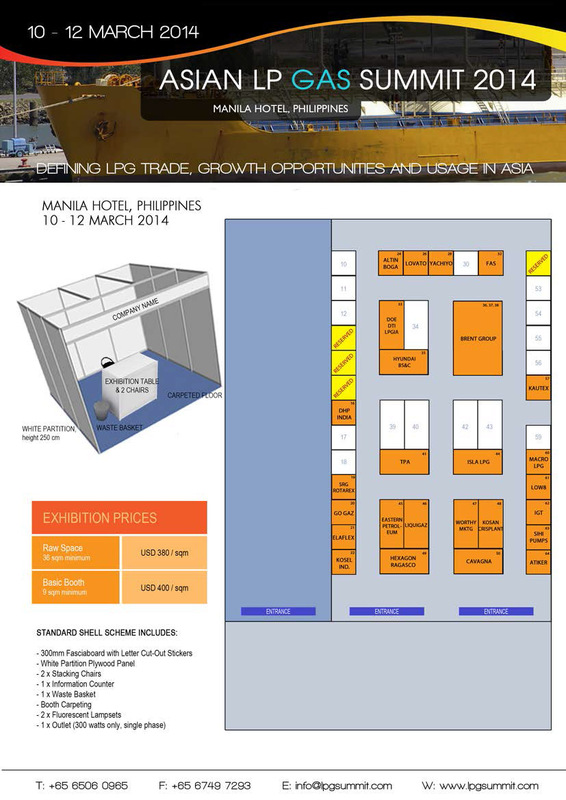 Get more out of your participation at the Asian LP Gas Summit 2014. Create unique networking opportunities; showcase your brand with a targeted campaign; and importantly, advance your business with our selected sponsorship packages! Hexagon Ragasco is the world’s leading producer of composite LPG cylinders with 15 years of experience, around 8 million units in use worldwide and the safest track-record in the industry. The Hexagon Ragasco line of composite LPG cylinders is designed as the modern alternative to the traditional steel cylinders. Suitable for a variety of applications, both industrial and for home-users and recreational activities, this lightweight cylinder is made from advanced polymeric and composite materials offering uncompromising quality and easy-handling. Hexagon Ragasco composite LPG cylinders are represented on several markets worldwide, by selected agents and distributors, or by regional sales representatives. Isla Petroleum & Gas Corporation (IP&G) is a joint venture company formed by Isla Petroleum and Energy Company Ltd. and the Itochu Corporation of Japan. IP&G was incorporated on July 14, 2011 under the laws of the Republic of Philippines and registered on August 15, 2011 with the Philippine Securities and Exchange Commission with its principal office at the 4th Floor of SGV II Building, 6758 Ayala Avenue, Makati City 1226 Philippines. The corporation was formed to acquire the entire Liquefied Petroleum Gas (LPG) business of Pilipinas Shell Petroleum Corporation (PSPC), its supply, trading, marketing and distribution of LPG in the Philippines and overseas. Isla LPG Corporation (formerly Shell Gas LPG Philippines, Inc.) operates 10 LPG refilling plants in the country, and boasts of a nationwide distribution system consisting of more than 50 distributors and approximately 10,000 points of sale located in various parts of the Philippines. Its core brand, Shellane-now Solane, is proud of delivering world-class products and expertise to our partners for over 45 years.